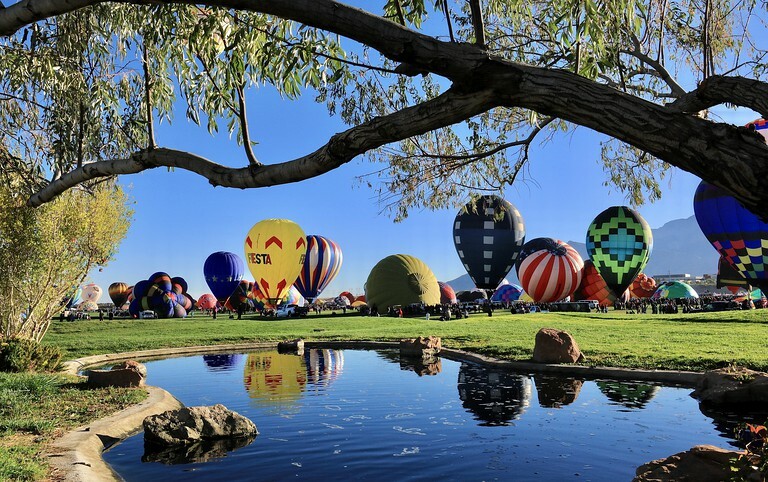 For guests looking to be close to the action at the Albuquerque International Balloon Fiesta in New Mexico, these luxury glamping tent rentals are the place to stay. 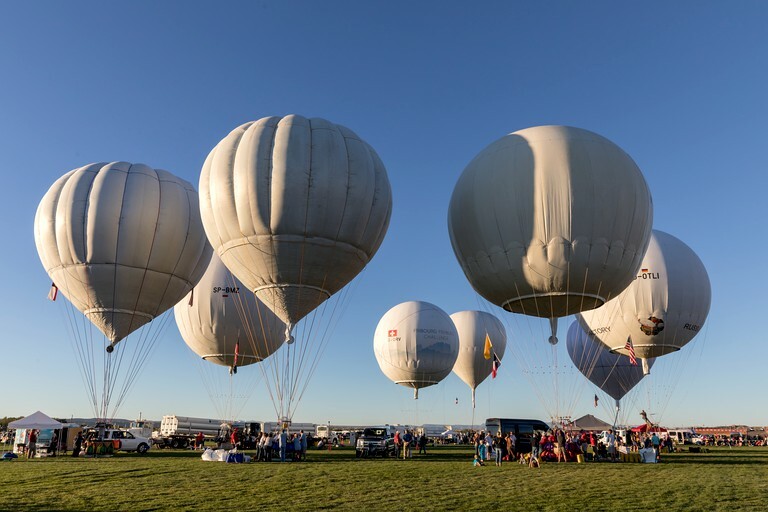 Admission to all events is included with the stay, and from the tents, guests will be within walking distance of the balloons' launch field. 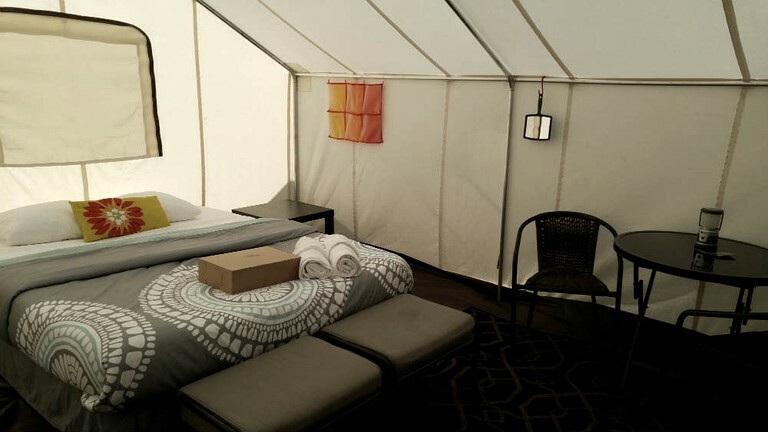 Accommodating up to four guests, each tent is 168 square feet in size, and inside, guests will find their choice of either a queen-size bed or two single beds, a heater, a refrigerator, a lamp, and a lantern. Linens, a comforter, and pillows are provided. The daily rate is for two guests, and an additional fee per person, per night, will be applied after two guests and up to four guests. 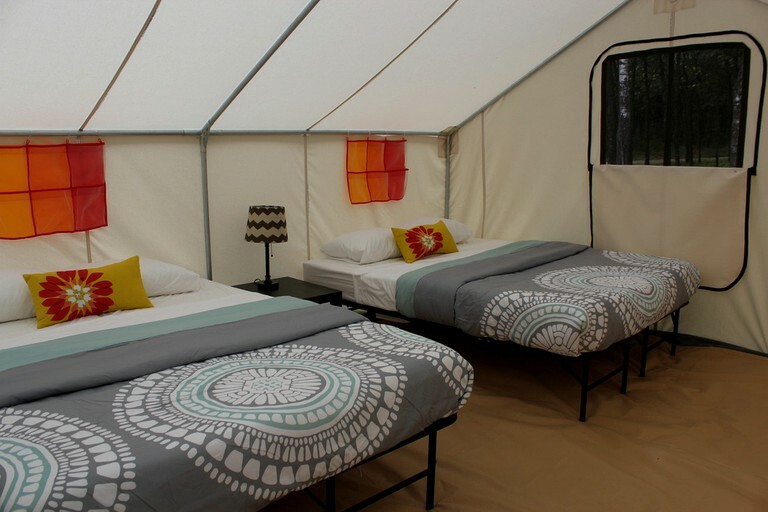 Glampers will have access to portable restrooms and showers, and one towel per guest will be provided. 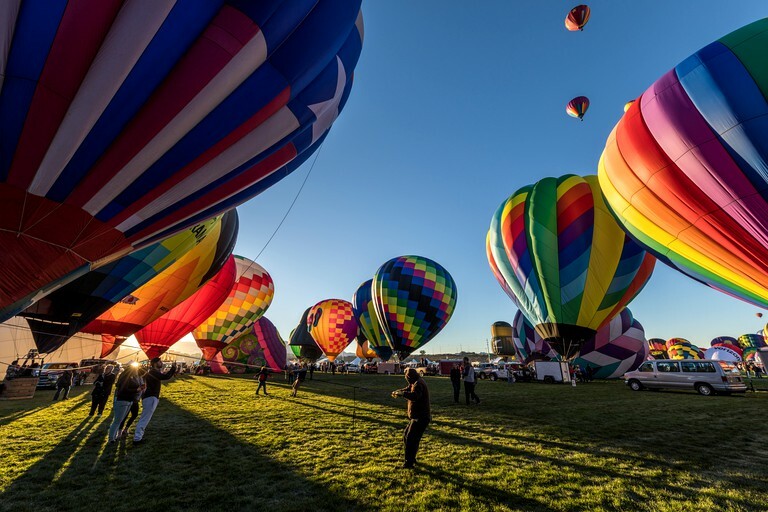 Additionally, there is a hospitality area for guests, which includes firepit, games, lounge chairs, premium parking, and a Balloon Fiesta Basket with New Mexican food and Balloon Fiesta goodies are provided. 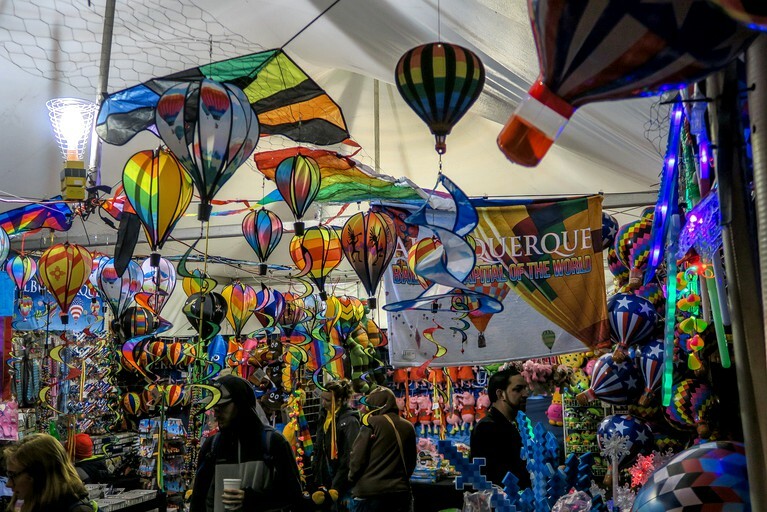 In booking this tent, admission to the event for all sessions is included, as well as premium parking and a Balloon Fiesta Basket with New Mexican food and Balloon Fiesta goodies. 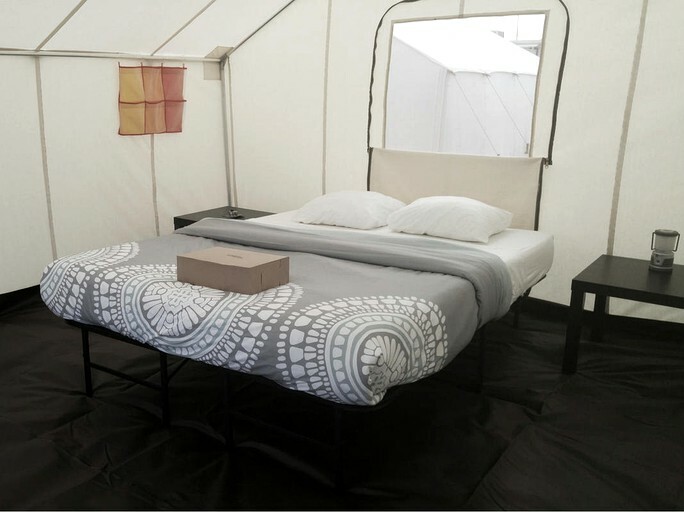 The tents are all 168 square feet in size, and inside, guests will find their choice of either a queen-size bed or two single beds, a heater, a refrigerator, a lamp, and a lantern. 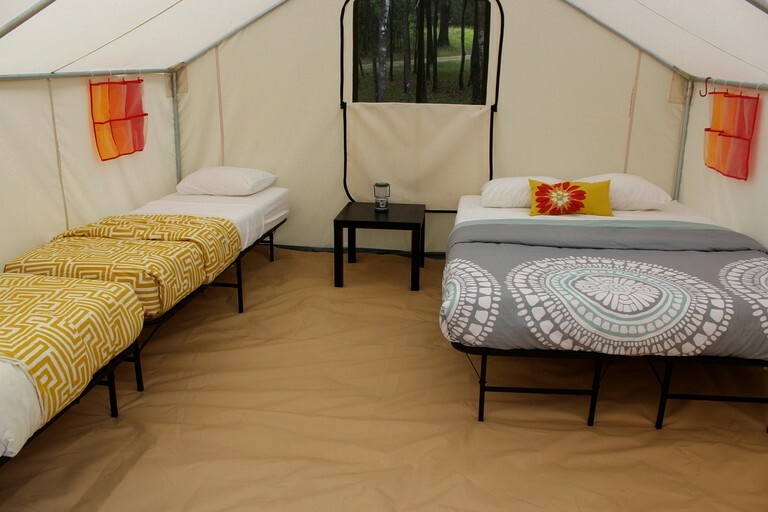 Linens, a comforter, and pillows are provided. 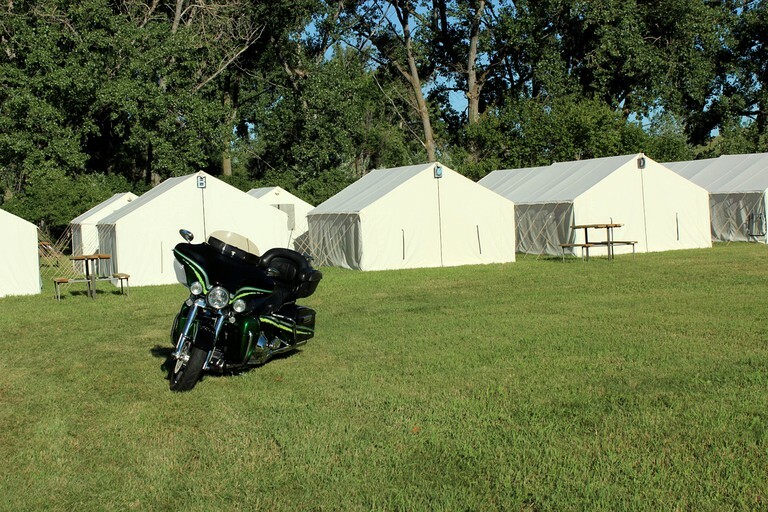 Glampers will have access to portable restrooms and showers, and one towel per guest will be provided. Additionally, there is a hospitality area for guests, which includes games and lounge chairs. 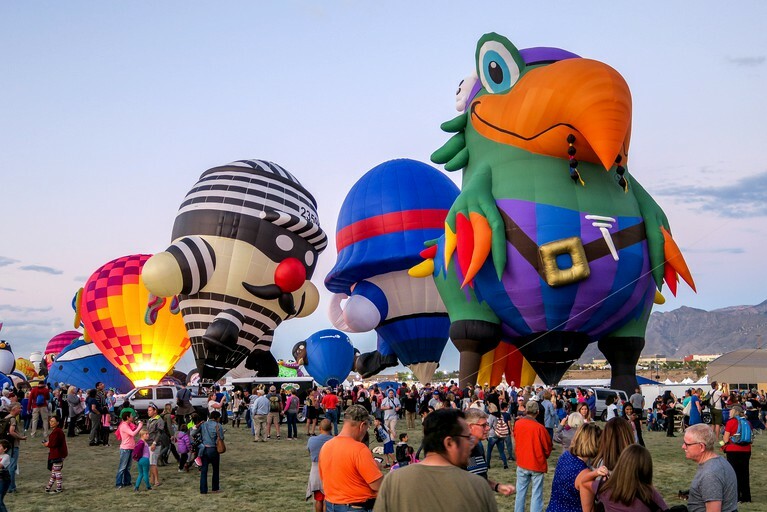 The event schedule for 2018 for the Albuquerque International Balloon Fiesta runs from Saturday, October 6 to Sunday, October 14. Morning sessions run from 6 a.m. to 11 a.m., and afternoon sessions run from 1 p.m. to 8 p.m. From Monday, October 8 to Wednesday, October 10, there is no afternoon session. 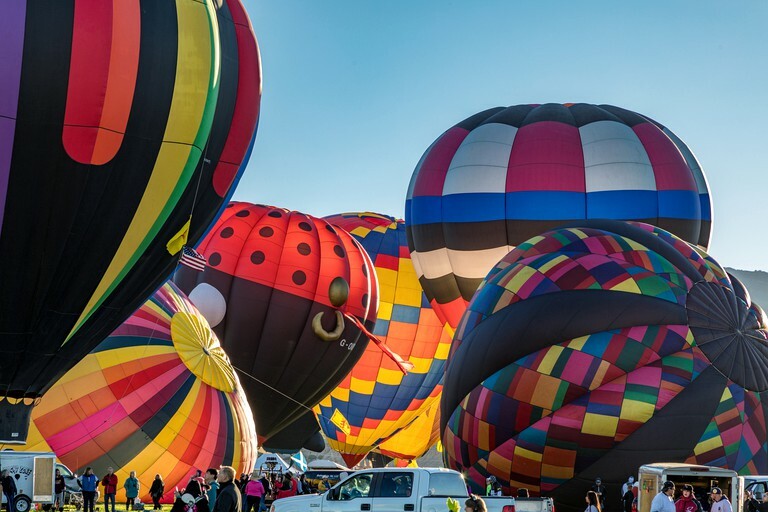 For full details on each day's events, guests can visit the Albuquerque International Balloon Fiesta's website. 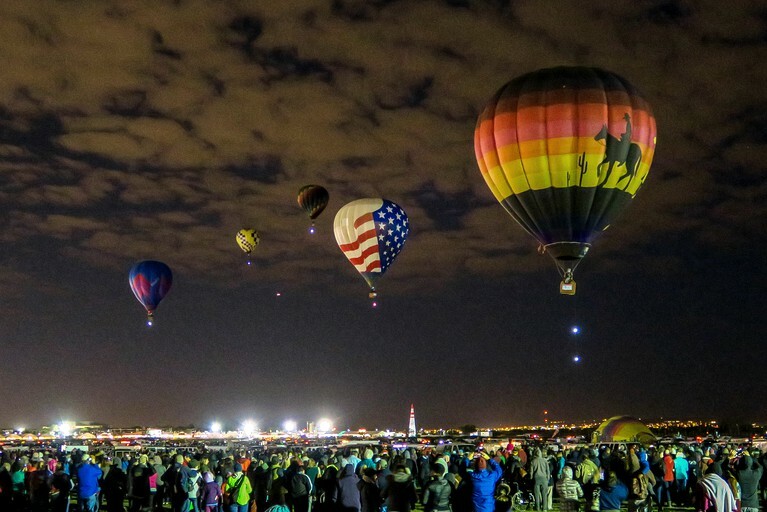 All bookings must be for a three-night stay for the Albuquerque International Balloon Festival. 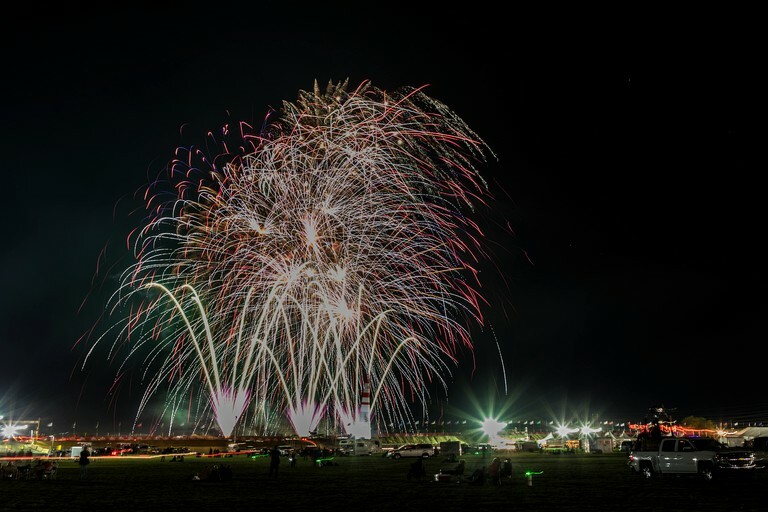 Additional nights can be added on for $500 per extra night. Check-in starts at 2 p.m., and check-out is at 10 a.m. Guests are strongly encouraged to arrive before 3 p.m. to avoid heavy traffic. 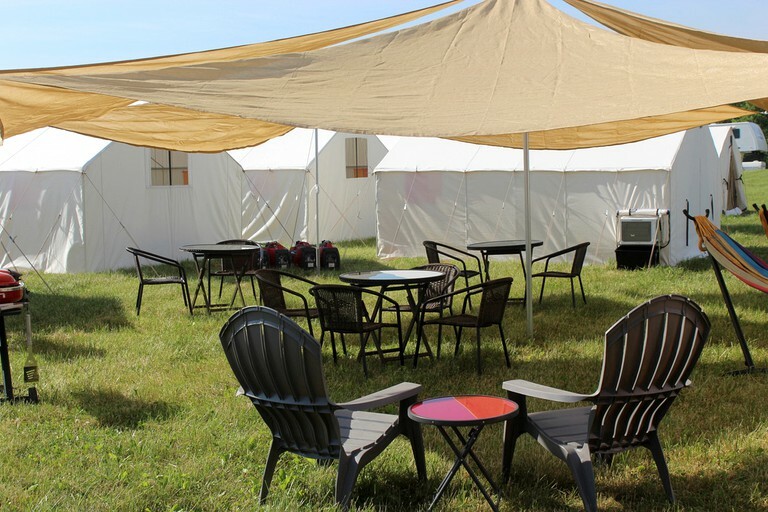 Upon booking confirmation, guests will receive directions to the glamping site and parking, and there will be an attendant on-site to direct guests upon arrival. 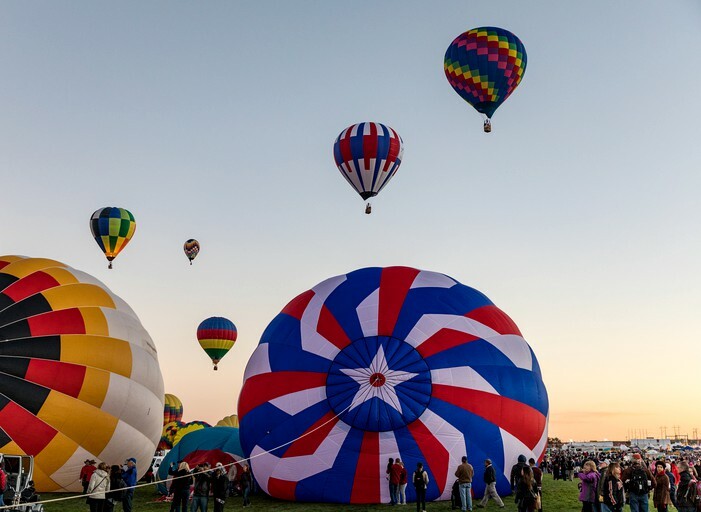 The cost of admission for two guests to the balloon festival is included in the price of the accommodation. 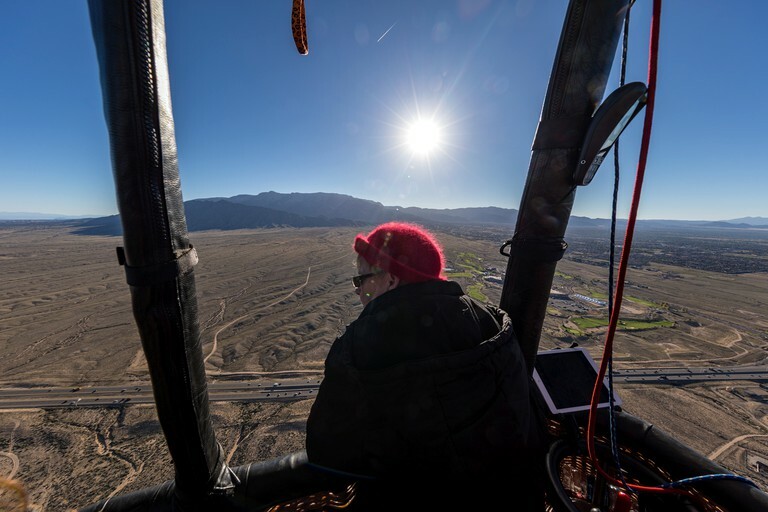 No drones or any other unauthorized, motorized flying aircraft are allowed. 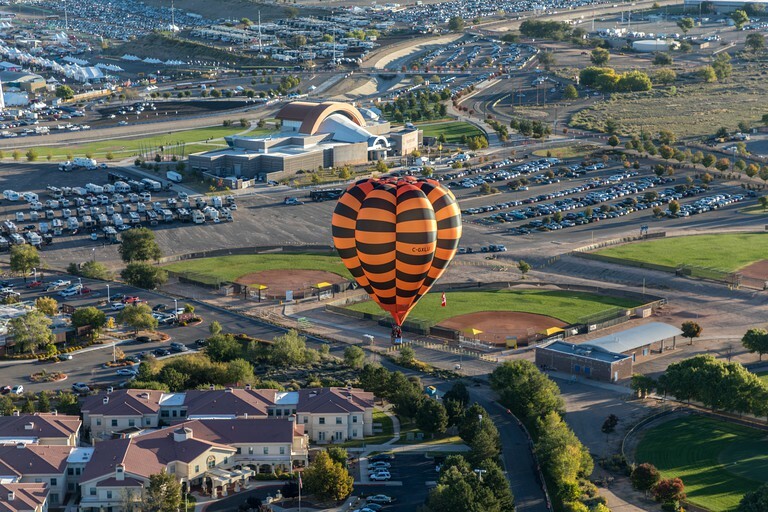 Guests who break this rule will be escorted off the property after a discussion with the FAA and other government agencies. 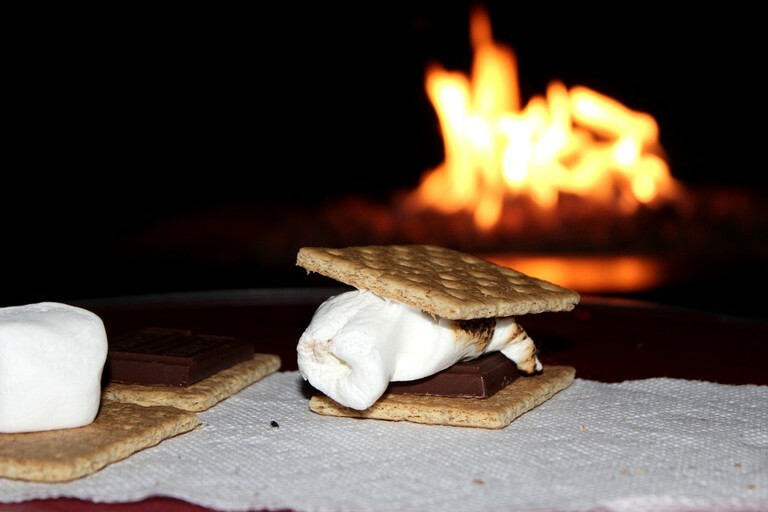 Guests cannot smoke, cook, or allow any open flames or flammable devices within or near the tent. 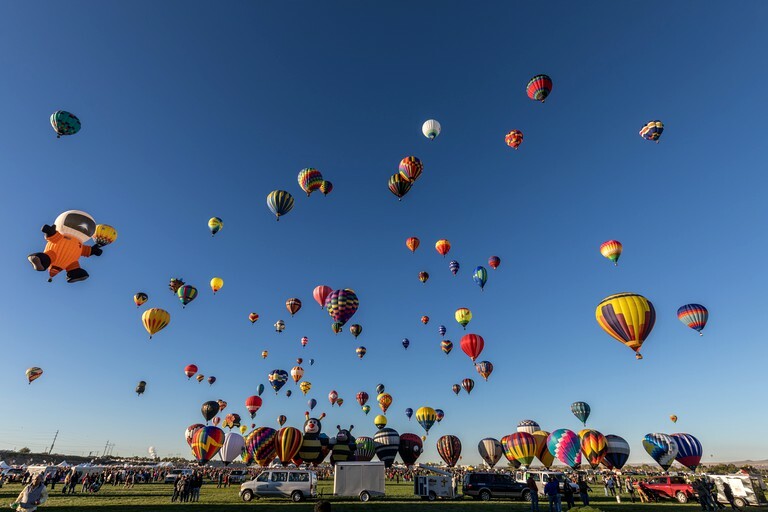 Firearms are not allowed in Balloon Fiesta Park nor are any loud, motorized transportation vehicles. Quiet hours are observed from 10 p.m. to 5 a.m. Guests are asked to keep the site clean and place trash in the provided receptacles. Only service animals are permitted; all other pets are not allowed past the ticket booths. Service animals must be on a leash at all times, and guests must clean up pet waste. If found to not be picking up after a pet, guests will be asked to leave. 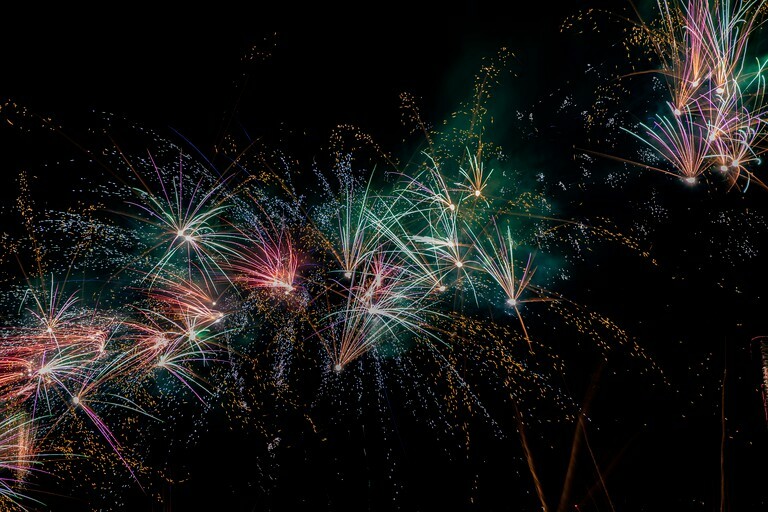 It's important to note that some pets become frightened by the sound of balloon burners, so extra care should be taken when events are taking place. There will be 24-hour security throughout the event. 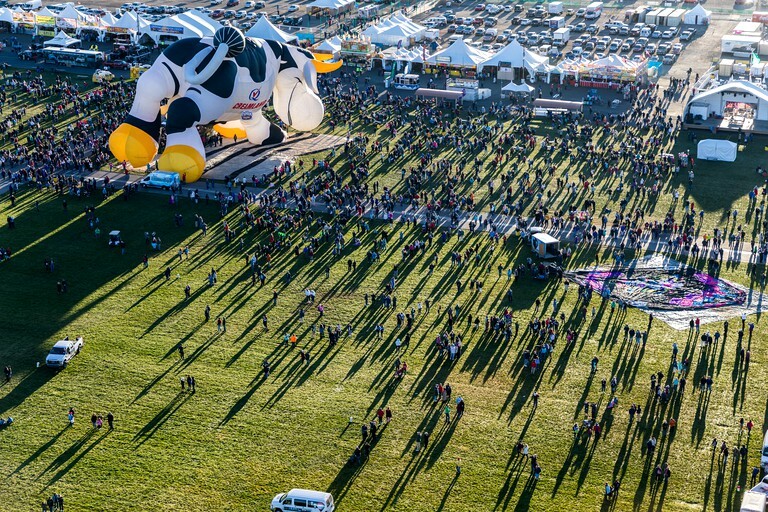 Balloon Fiesta assumes no responsibility for the cancellation of activities due to weather or safety concerns. They are also not responsible for loss or damage to vehicles and/or their content.